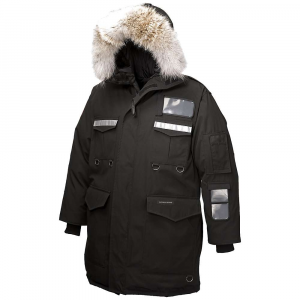 Visit Canada Goose's Men's	Hybridge Lite Jacket page. 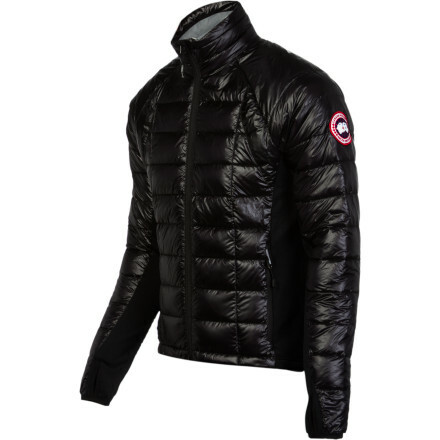 Never sacrifice warmth for freedom of movement again with the Canada Goose Men's Hybridge Lite Down Jacket. 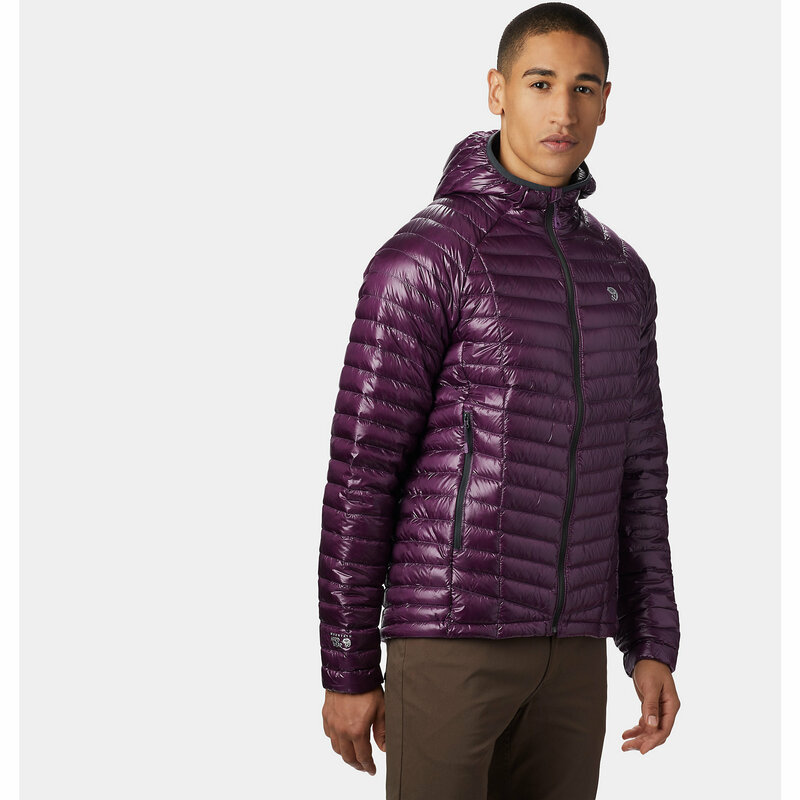 This amazing jacket weighs less than half a pound, warms you in freezing weather, and stretches with you as you reach, duck, and carve through snow, cliffs, and trees. Throw a shell on top when it's snowing out, and pack it into its sleeve pocket when the sun peaks out and you're feeling too hot on the chairlift. Sound good' Outside Magazine thought so, too, and gave it the "Editor's Choice for Best Backcountry Jacket" award. 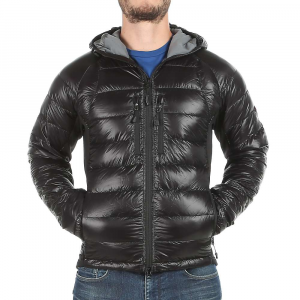 Weighing in at less than half a pound and designed with a close-fitting body-mapped design, the Canada Goose Hybridge Lite Down Jacket for men is an award winner that you won't want to miss. 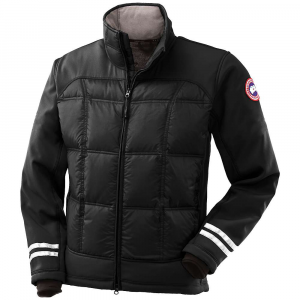 Unbelievably lightweight and easy to pack on any adventure, this Canada Goose jacket is the perfect core-warmer for active pursuits in cool conditions. 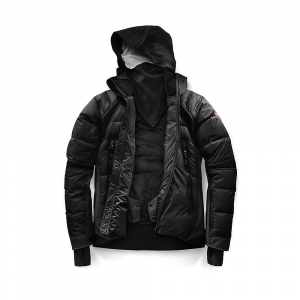 Its 10D nylon shell fabric is slightly translucent, letting some of the premium 800-fill down show through, and it's quilted with a small box pattern to keep the insulation in place and make it smaller when compressed. 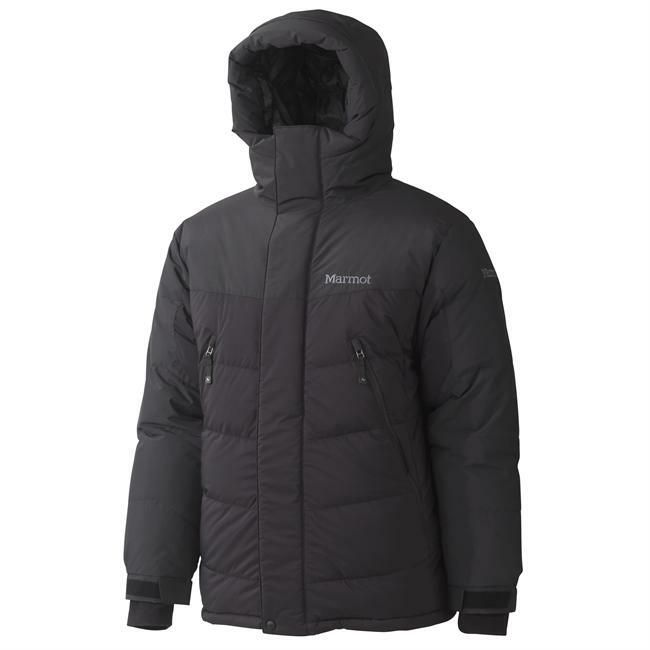 The side panels and underarm panels are Polartec Power Stretch fleece -- with a smooth exterior and a soft interior texture -- enhancing breathability where you need it, and giving it a snugger, more athletic fit. Simple features that add to its versatility without adding unnecessary weight include two zippered hand pockets, an interior stretch mesh pocket, thumbholes, and a brushed tricot collar lining for luxurious comfort. From a fast-and-light hike of the Colorado Trail, to a spring ski tour in the Sierras, the Canada Goose Men's Hybridge Lite Jacket will be a favorite for ultralight warmth in the backcountry. Shell Fabric	 26 gsm, 100% Nylon Superderm 10D with cire and DWR finish. Lining Fabric	 52 gsm, 100% recycled Polyester Intraderm 30D with cire and DWR finish.